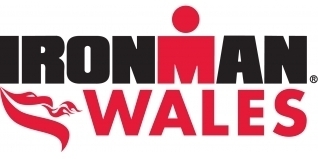 Coach Simon Ward will be racing Ironman Wales on Sunday. While he'll have a whole host of 'coach-related' thoughts, plans and targets going into the race, he also has wider thoughts on approaching triathlon racing - particularly if, like him, your 'racing' is just one element of your life. Here are his 'Triathlon racing principles' which may ring true with many of you. This weekend I'm getting ready for my 10th WTC Ironman event. I'm down in Tenby for Ironman Wales and I have to say that the location is spectacular. Ironman always used to have a policy of taking a big event to a small town. My understanding is that this meant the whole town would get behind the event by closing roads, providing vocal support and in return they get an influx of ‘triathlon tourists' at a quiet time of year. In short, everyone is a winner. From an athlete perspective this certainly works because everyone you meet in Tenby asks if you are here for the race and they will either be doing the race, have friends or family racing involved with the race as volunteers or just spectating. In contrast, races that are located in big cities such as Frankfurt or Zurich sometimes get lost among big city life. It's a formula that seems to be working in Tenby and I'm looking forward to Sunday. While triathlon provides me with a living, participating in events doesn't, so I have a different set of values. Of course, I'm competitive with myself and will always look for ways to improve my performance, but I can also see the big picture. I have some training and racing principles that I use to shape my actions and today I want to share a few of them with you and also how I'll be applying them in the context of this weekend's event. No complaining or whining. No one forced you to enter or race. Just be grateful that you are able to be here. Look around and soak up the energy - There are a lot of people I know who would love to be able to just run again and can't. We are all lucky so I'll try to remember that when my legs are hurting on that run. Chrissie used to dedicate 1km sections of her run to people who have inspired here. I have my own list. I might need it on Sunday. I'll also take some energy by high giving some of the spectators on the run. I haven't asked them to come out but they will and its worth acknowledging them. So that's 15 principles that I'll carrying with me on race day. I suspect that you'll have your own so feel free to share them with me and all of the other readers. Triathlon is a lifestyle which I'm lucky to have turned into living. The only way to maintain my passion is to approach everything with a balanced perspective and to have fun. I hope you can and do the same.